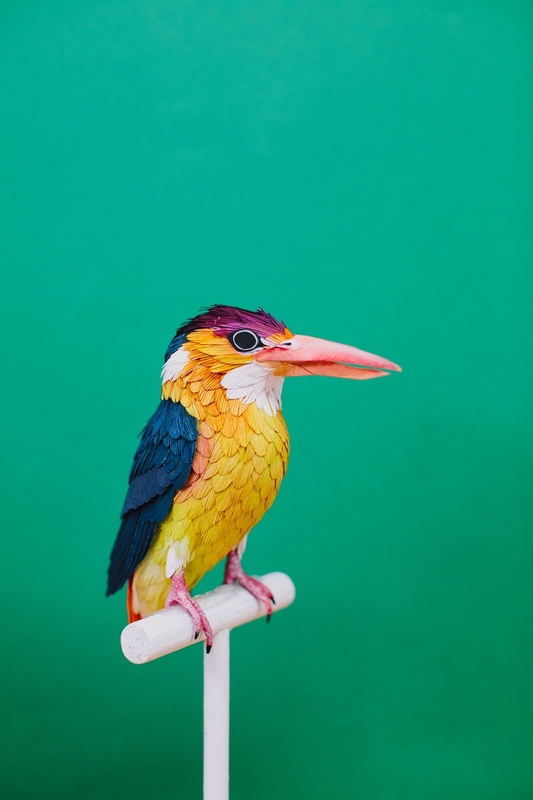 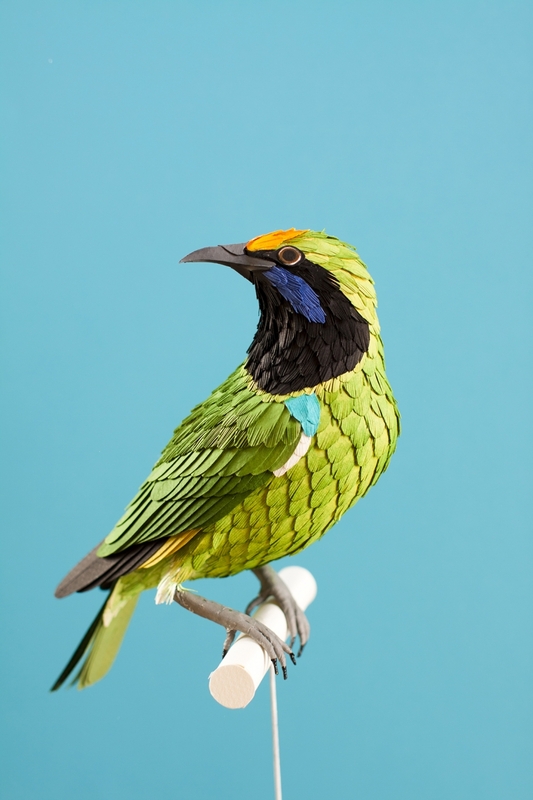 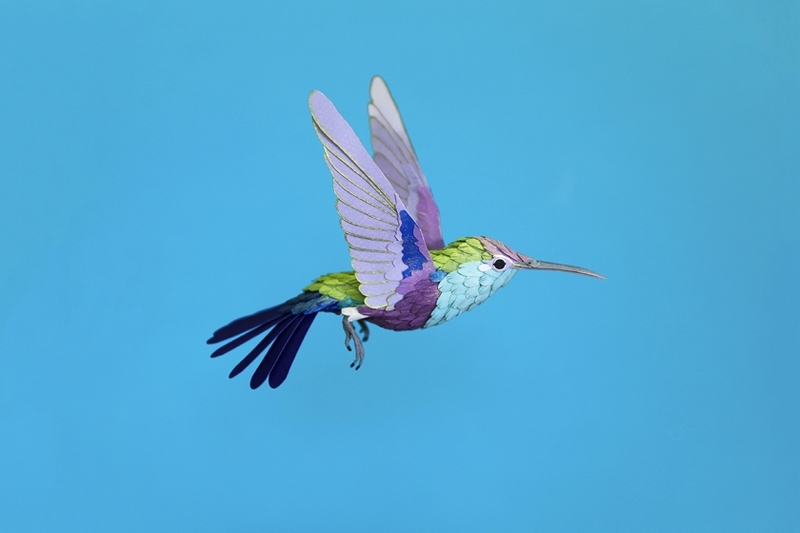 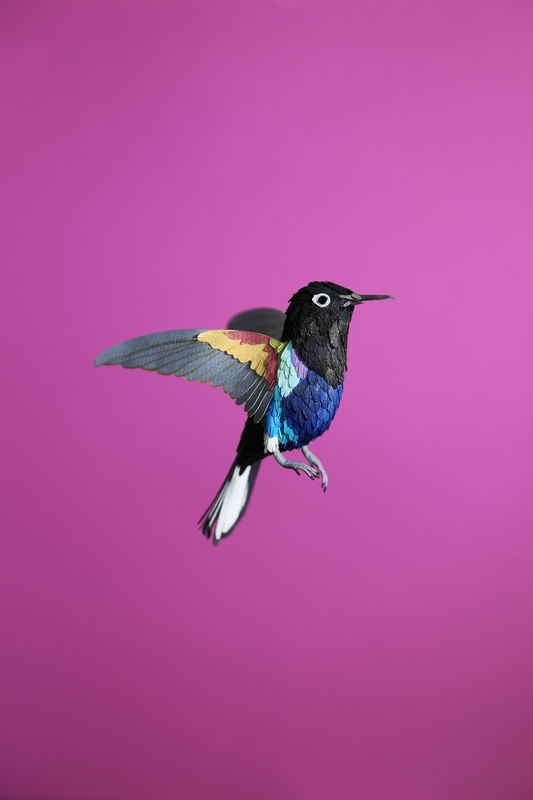 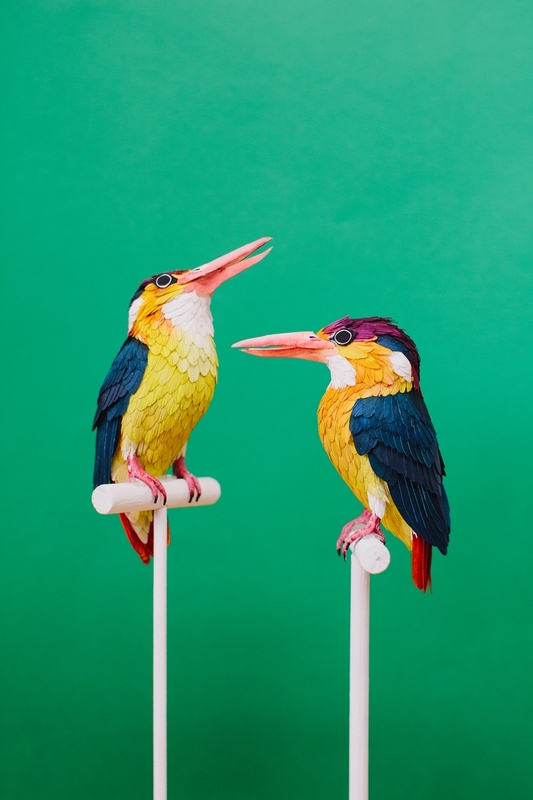 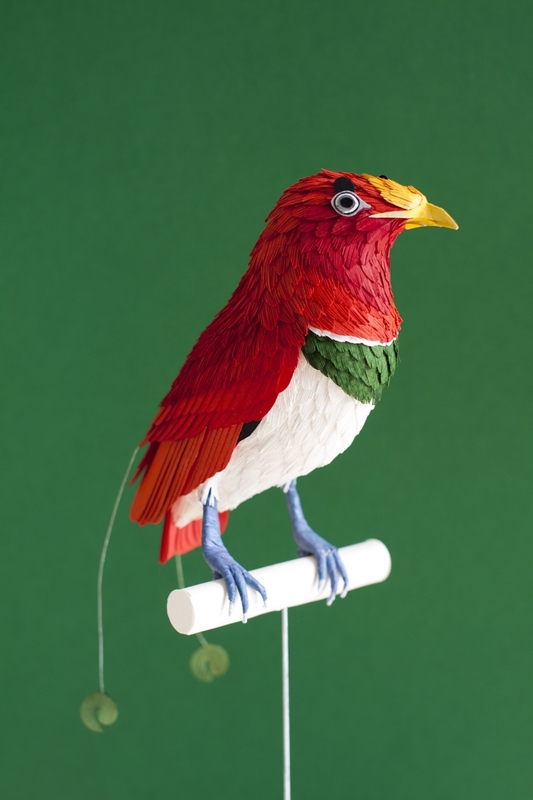 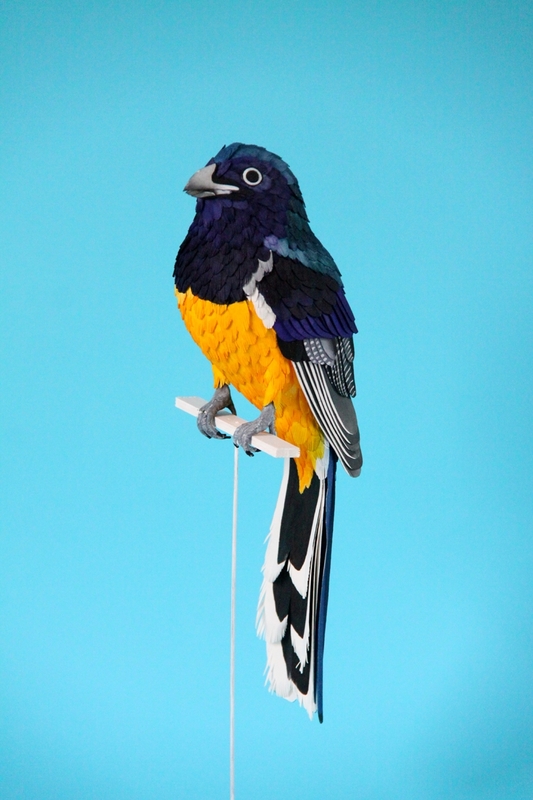 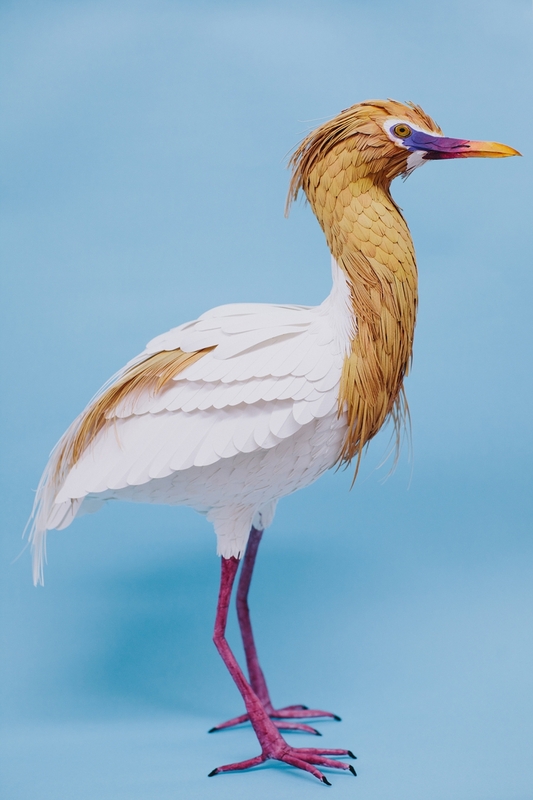 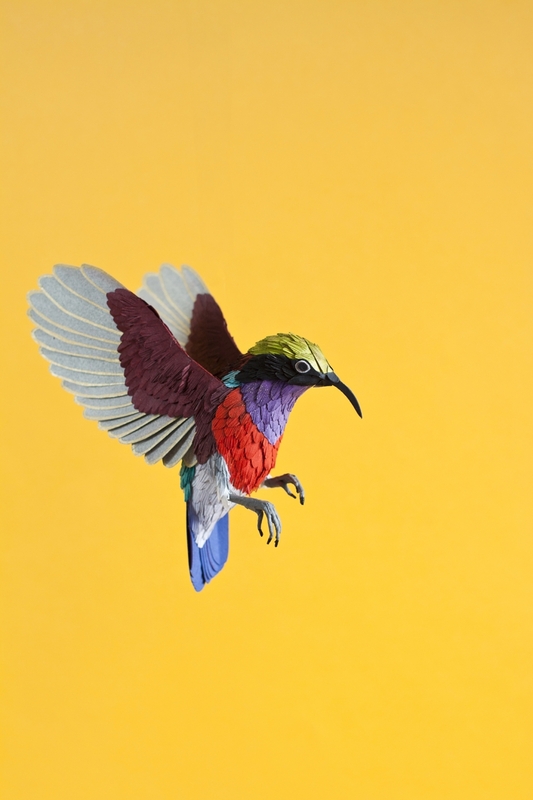 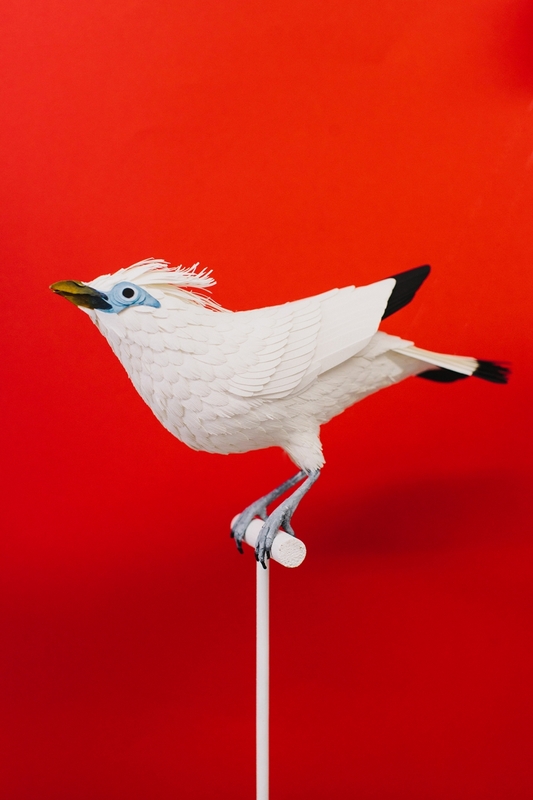 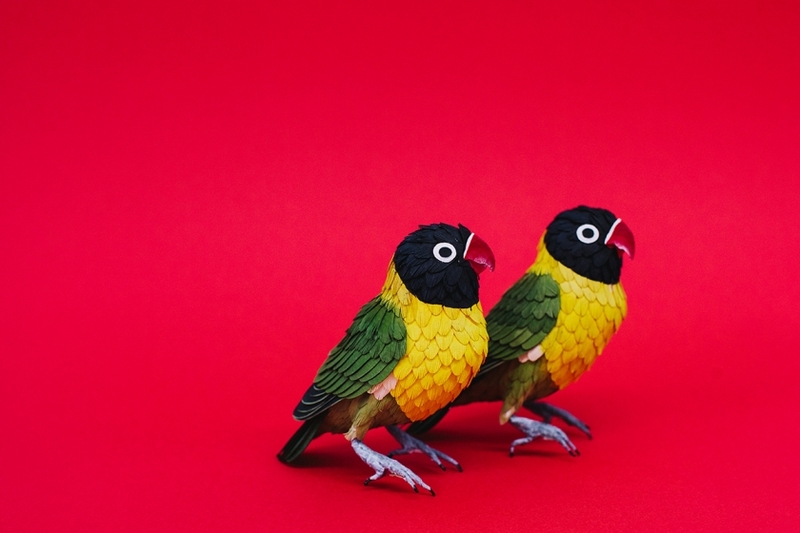 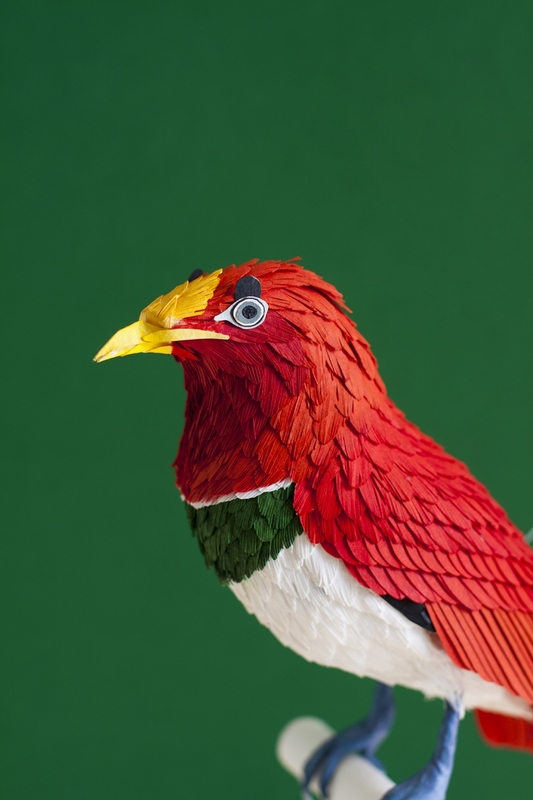 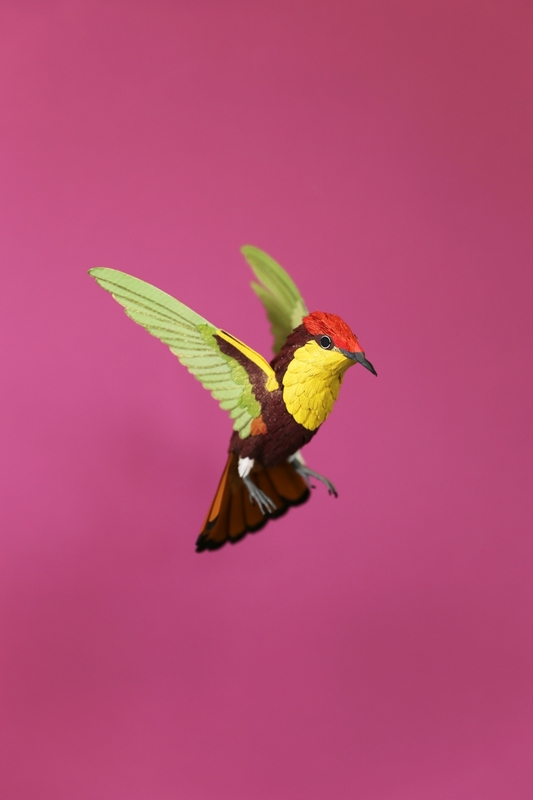 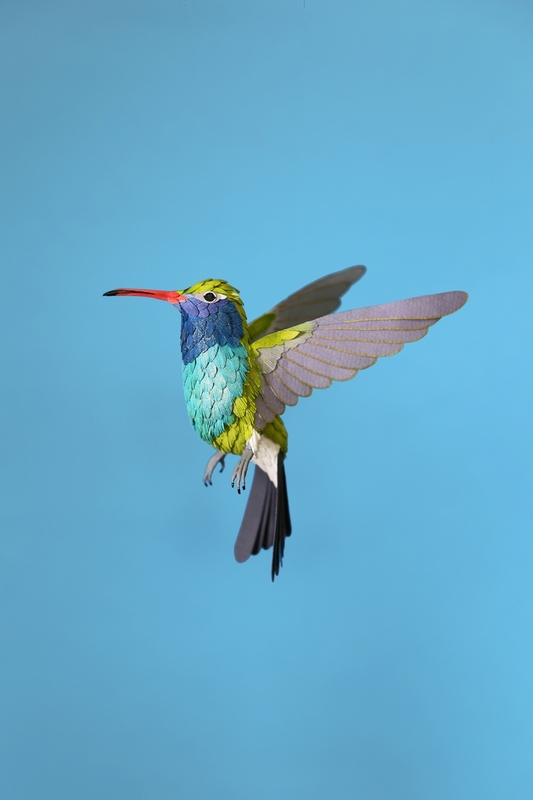 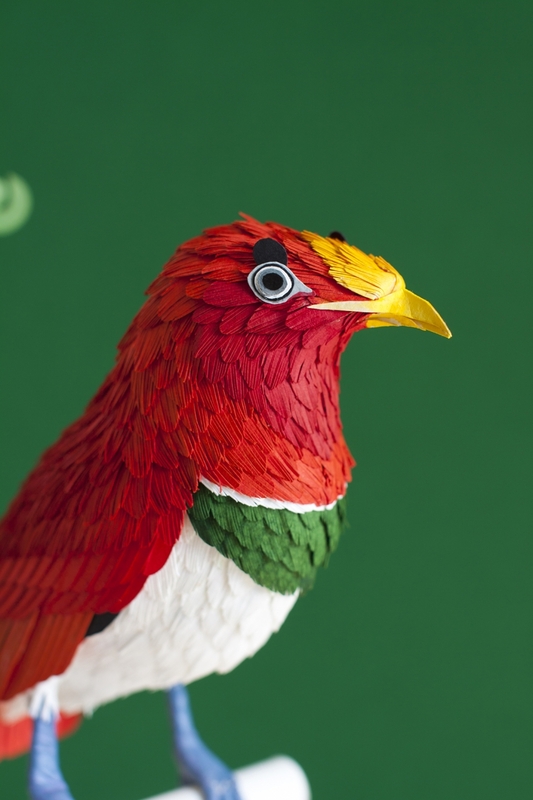 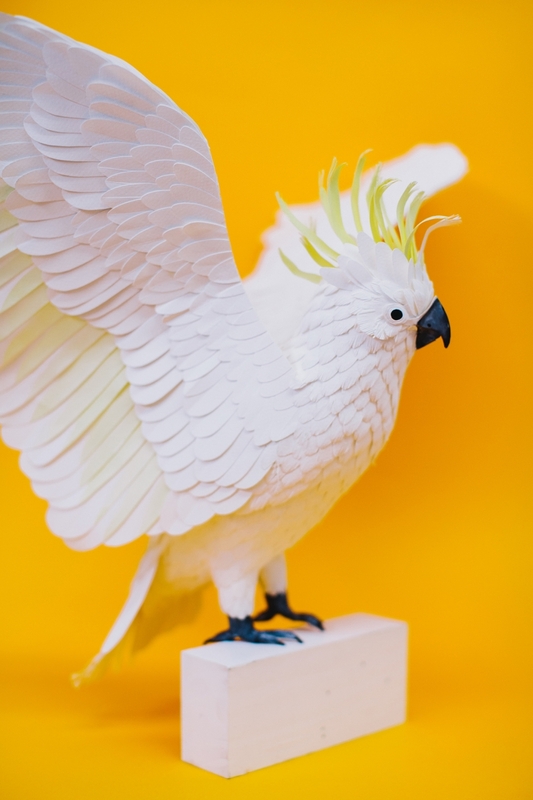 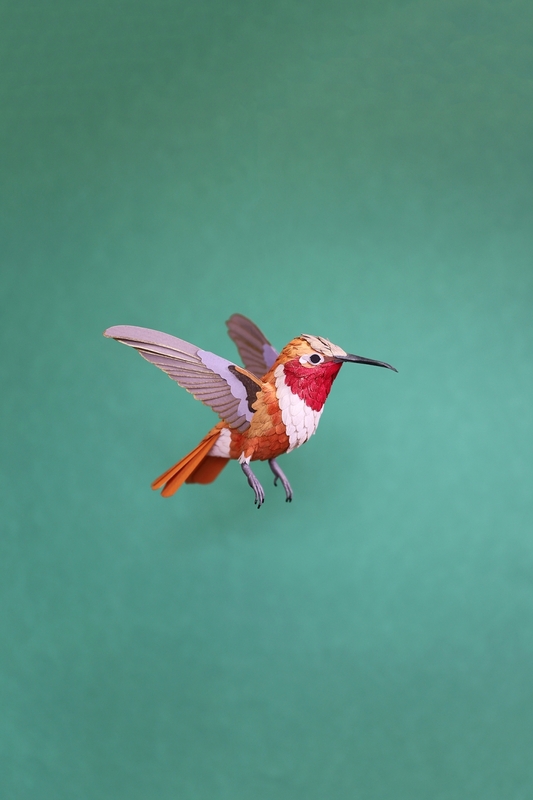 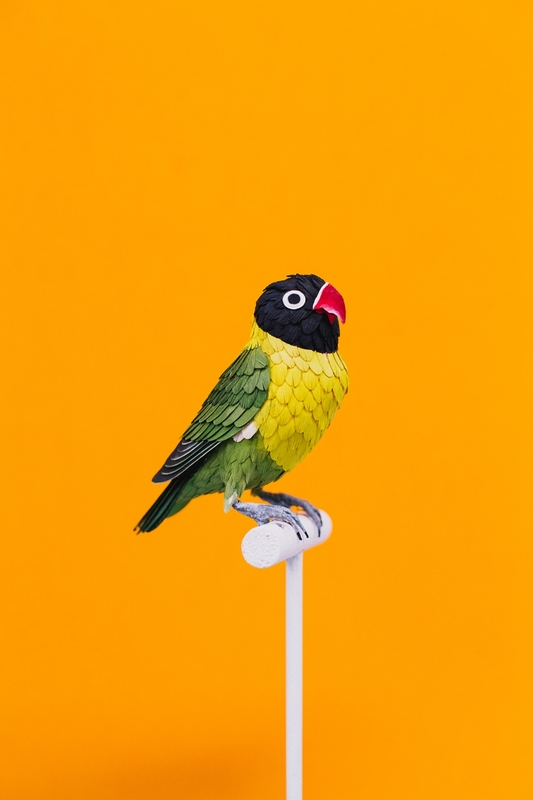 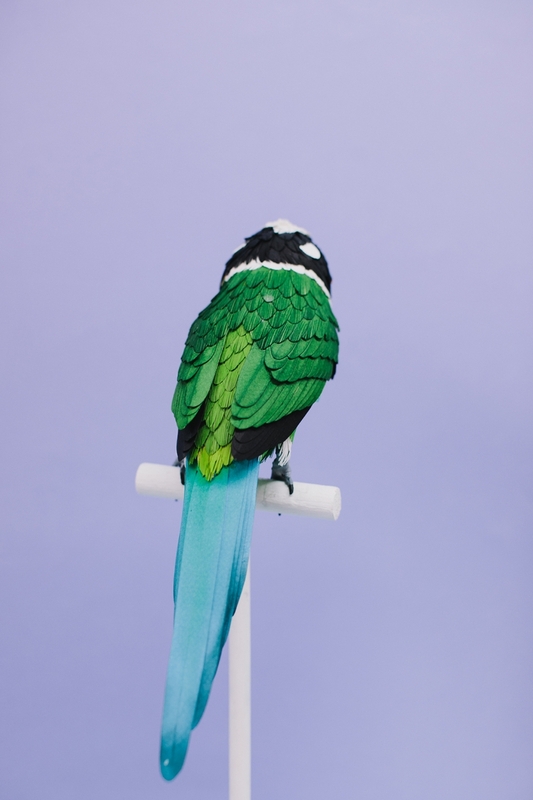 From tropical birds of paradise and parrots to humble British varieties; from unbelievable hummingbirds to colourful African winged monsters, Diana Beltran Herrera’s newspaper sculptures pay homage to birds across the world. 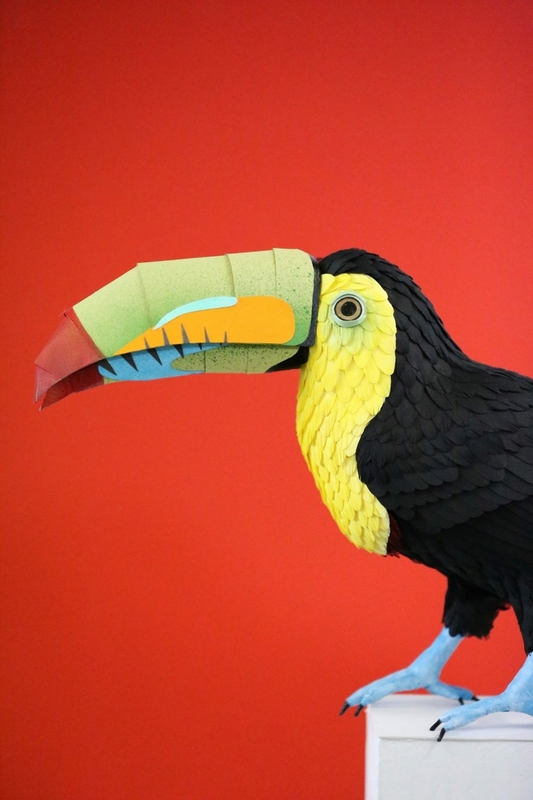 The Bristol-based Colombian artist and designer (showcased previously) utilizes everyday materials — such as cable, plastic, cardboard, and newspaper — to make her incredibly realistic artworks. 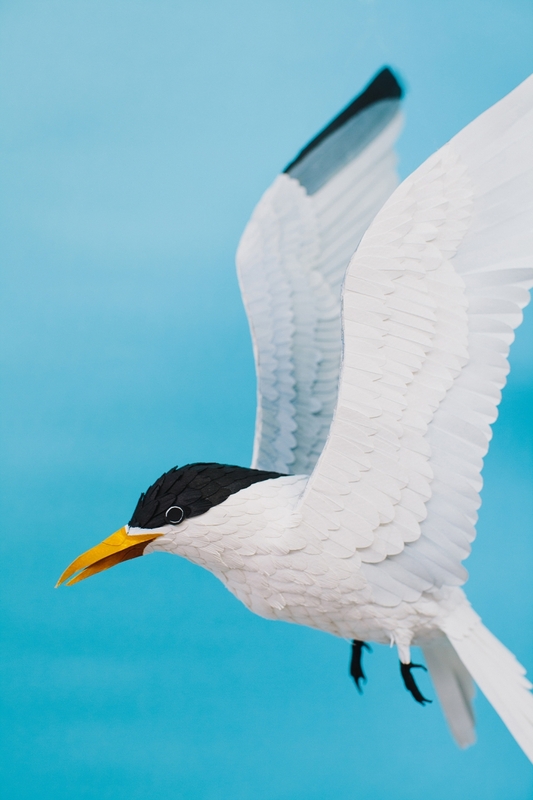 “The functions are based on photos of birds, which I first draw on Illustrator to get the correct measurements and details. 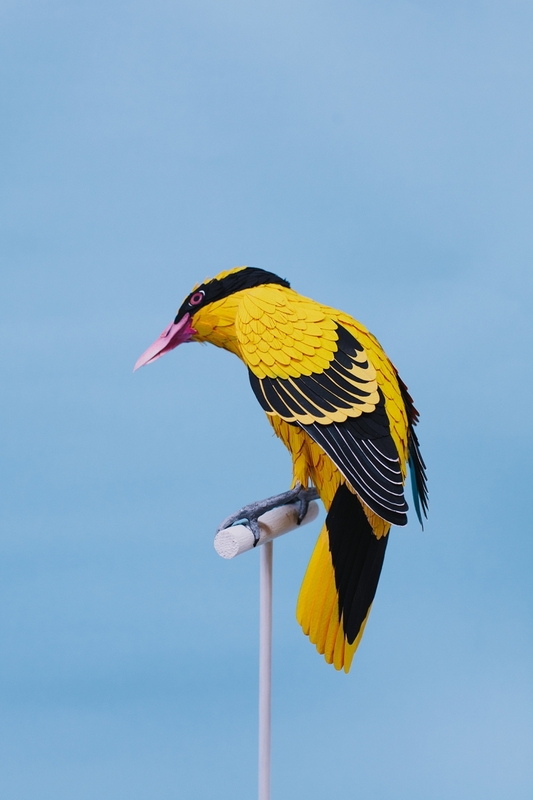 I maintain the sketch and photograph my job as I progress,” Diane explains. 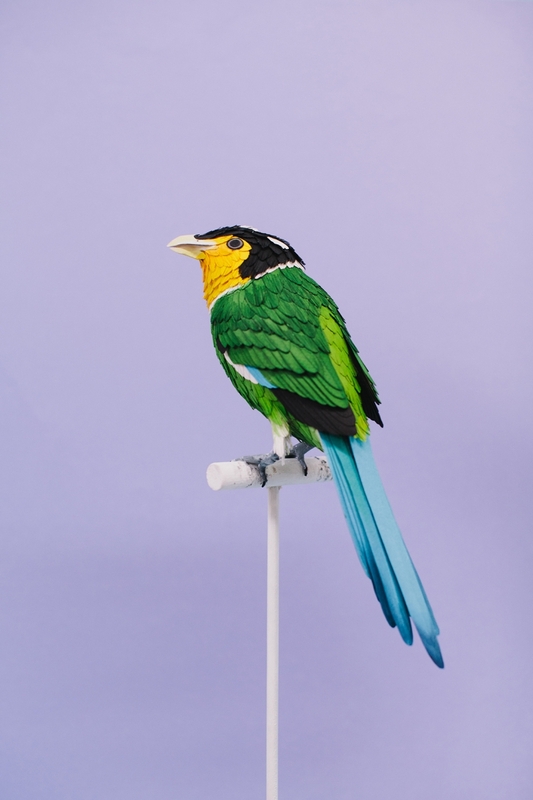 After graduating with a degree in Industrial Design in the Jorge Tadeo Lozano University in Bogota, Colombia in 2010, Diana started her own design practice, and has since exhibited in Europe, Asia and America. 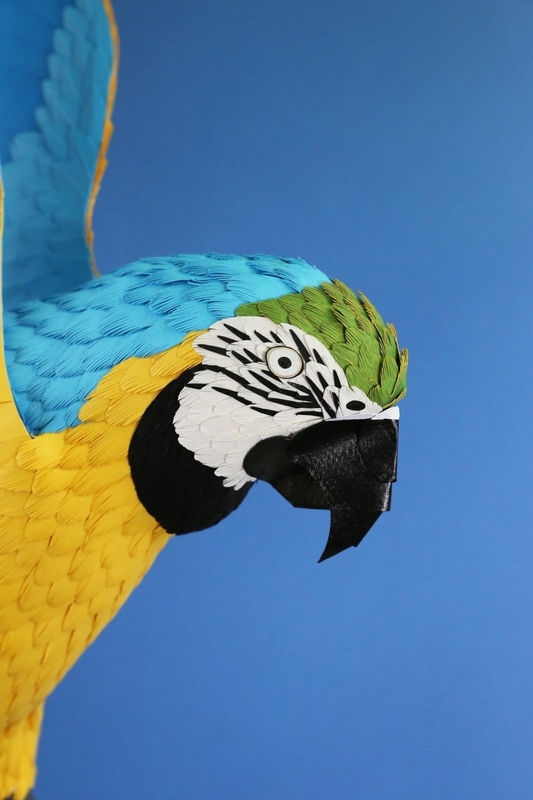 She presently lives in Bristol, where she’s just graduated with a masters in Fine Arts in University of West of England. 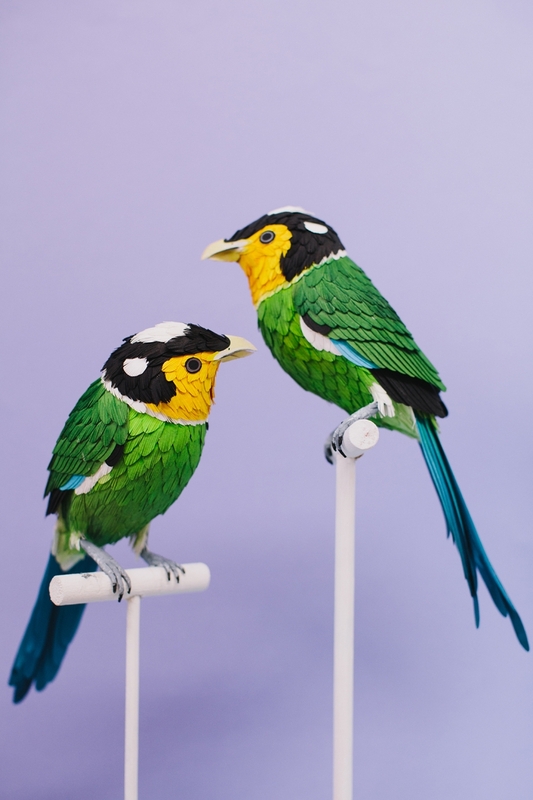 Recent commissions include a bit for the Festival of Ideas from Bristol City Council and also her first solo show in Asia, backed by the Embassy of Colombia in Indonesia and also Cancilleria de Colombia en el Exterior. 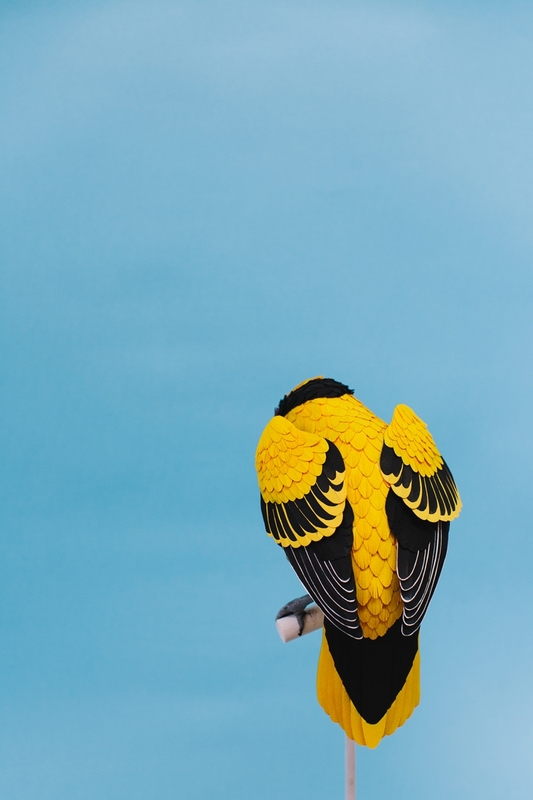 You may discover more in dianabeltranherrera.com.